The design and cost of a coop varies with needs and budget. This light, mobile coop lets chickens spend days roaming fenced areas and nights secured inside. Choosing to design and build your own chicken coop can be an exciting and rewarding experience that offers many benefits. When you build your own coop, you have the opportunity to customize the design to your specific needs and can spend as much or as little as you wish to spend on the project. There is no single way to correctly build a coop. A lot of what you design and build really depends on how you want to raise your flock and what types of add-ons you want to consider, such as automatic doors, solar panels for additional light for laying hens and so on. For this column, we will focus on the design and building of a light mobile coop where the chickens spend the majority of the day roaming a fenced area of pasture or grass and spend their nights secured in the coop. The coop can be easily moved thereby allowing the owner to move the flock depending on where available grass is. The first thing to consider is how many hens you plan to house. The general guideline is to have at least 3 square feet of space and 6 to 12 inches of linear perch space inside the coop available for each individual hen. Note: The available space doesn’t include the nest boxes. If you plan to acquire your flock as day-old chicks, it’s also important to note whether or not you want your coop to double as a brooder. If so, you’ll need to build something well-insulated and capable of being completely enclosed to reduce drafts and predators. In addition, you will need access to a power source for heat lamps. 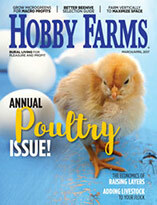 To learn more about using your coop as a brooder approach, visit the innovations section of the UC Davis Pastured Poultry Farm website (http://ucanr.edu/sites/poultry/files/236853.pdf). 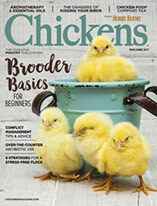 When taking care of your chicks in a brooder, always think about the big three: feed, water and heat. That question of construction materials ties into your budget. However, you should also think about how long you want your coop to last and your area’s weather conditions. For example, while plastic is easy to work with, it can get very hot, and in direct sun, it can degrade quickly. Wood is more attractive, but it’s heavy and can be difficult to clean and disinfect. Sealants can be used, but with the health of your flock and the table eggs they produce in mind, you need to consider potential toxicity if the birds peck at the wood. For our most recent coop design at the UC Davis Pastured Poultry Farm, we used an aluminum frame, mesh wire and painted wooden panels to build our mobile coops. While other materials, including wood, can be used to build the entire frame, we ultimately determined 1⁄2-inch EMT aluminum tubing to be the best option in combination with wood support beams. Aluminum tubing is light, durable and can easily be bolted together, hence easier to take apart, if necessary. It’s also easy to clean and disinfect, which is an important consideration in order to reduce disease transmission. If you use wood, treat the wood with latex-based paints or other similar products. This will allow you to properly clean and disinfect the wood and avoid water from penetrating the wood, which can cause further microbial growth. In order to keep the coop light and allow proper ventilation, we covered the coop using 1⁄2-by-1⁄2-inch fencing, which allows adequate protection against predators. The fencing extends to the bottom of the coop, forming the floor, and is easy to attach to itself at different angles. To keep the birds dry during the rainy season and warm in the winter, it’s essential to use fence as a frame to secure heavy-duty tarps (waterproof but prone to sun damage) or shade cloth (longer lasting but less waterproof), depending on the weather conditions in your environment. The final weight of our 10-by-10-foot aluminum frame coop was approximately 120 pounds. The frame can easily be scaled up or down depending on the estimated number of birds you expect to house. Wheels were also added to make transporting the structure even simpler. We used 13-inch wheels; however, different types of wheels should be considered depending on the terrain. If you have laying hens, then your coop needs nest boxes—unless you want to have an adventure every morning looking for where the eggs are. Nest boxes provide your hens a safe, designated spot to lay their eggs. You should have at least one nest box for every four hens. Nest boxes may be as simple as a modified plastic box or a homemade wooden crate. For our coop design, we used nest boxes that are made of two plastic bins and a wooden slant covered by artificial turf. The wooden slant allows eggs to roll to the back of the nest box, where they can be easily collected via a door while standing outside of the coop. There is a small flap inside of each nest box, constructed of the part of the bin that was cut out, that prevents the hens from pecking at their eggs. Our nest boxes are 20 by 14 inches. Roosting or perching is an important behavior for birds. Among other benefits, the birds’ bone density is greater when they are allowed to perch. Roosting opportunities should be offered by the fourth week of life. 20 inches off the ground for hens and allow all the birds to have approximately 10 inches of perch length. Designing the roosting bars to be removable will allow the bars and the coop in general to be cleaned more easily. Automatic doors allow chickens access to the outdoors first thing in the morning and lock them inside safely secured at night—all without you having to actually be present! That being said, while automatic doors are great, our feeling is still to check at night to make sure all the birds are inside. Humans aren’t the only ones who enjoy eating chicken wings for dinner! Many predators, such as raccoons and coyotes, enjoy feasting on birds. It’s therefore important to ensure that your coop is strong and secure, to provide your hens a safe place to roost at night. Avoid allowing feed to accumulate near the coop, which may attract rodents. (This is another reason why making regular coop moves is crucial!) Checking to see that there are no gaps in your design larger than 1⁄4- to 1⁄2-inch will also limit access inside the coop to small rodents. Rodents harbor diseases that may affect your flock, as well increase your costs by consuming your feed. While keeping a stationary coop in one area is common for most backyard poultry-keepers, there are advantages to having an easily movable coop. 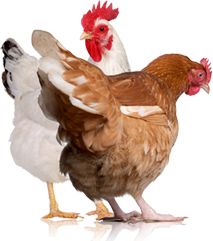 By moving the coop and hence allowing birds to spend their days in different outdoor spaces on your property, you can reduce grass from being denuded and also help fertigate available land in a more even method. Regardless of what you do, use materials that are easy to clean and fit within the environment you are using. Take your time, do your research to avoid making common mistakes and be patient. Building your own coop should be an enjoyable, rewarding experience. This article was written by Nicole Fernandez, an animal science major at UC Davis; Maurice Pitesky, D.V.M. from the UC Davis School of Veterinary Medicine-Cooperative Extension; and Deb Niemeier from the UC Davis School of Engineering.